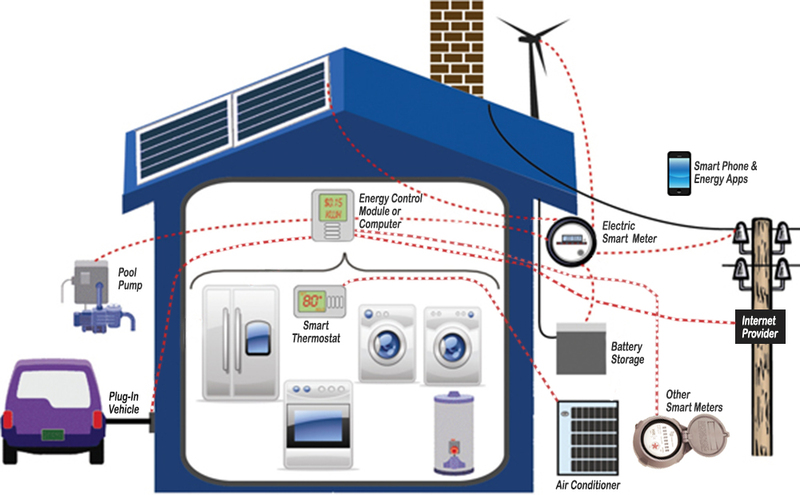 Our patents cover the Internet of Things (IoT) driven by utility Smart Meters, the utility billing and Smart Grid control systems, coupled with mobile smart phones. Our patents cover the new smart meters which send and receive data to and from a utility company and devices in the home or office. The first 2 granted US, Chinese, EU, and Israeli patents cover the distributed network system. The January 2014 US patent includes specific claims covering the use of the following with smart meter or internet connections with a utility. 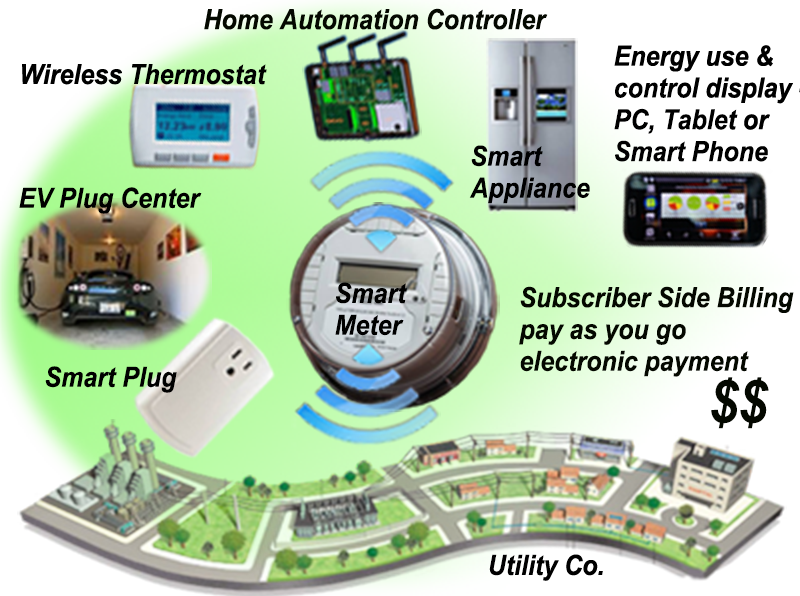 Use of internet based utility websites to provide customers with a record of utility commodity (electricity, gas, water, and the like) on a daily basis in combination with new electric smart meters which contain internal service turn on-turn off switches for remote control. 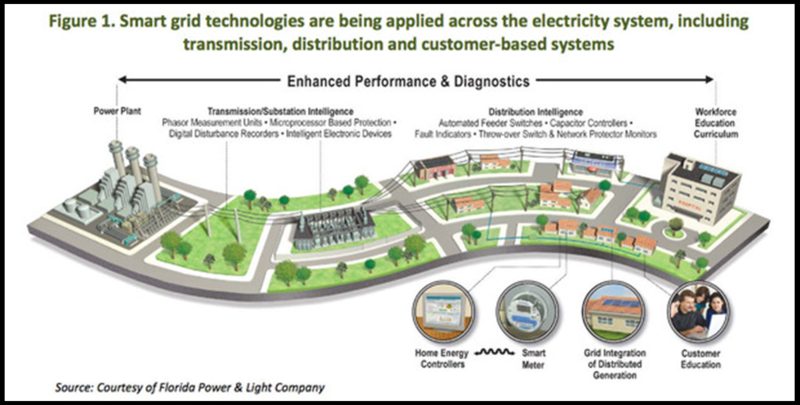 Virtually all new smart meter deployments by utilities offer this customer service as described by the Pacific Gas & Electric company, and the Sacramento Municipal Electric District. In-home display of utility rates, consumption and cost; regardless of display device; PC, tablets, PDAs, smart phones and the like. Integration with “smart thermostats” for heating and air-conditioning. Who owns the data inside the utility meter at the customer’s location? Dian Grueneich, former Commissioner California Public Utility Commission, states that the customer owns the meter data and therefore is entitled to direct access. As an example of such a system covered by our patents consisting of smart meters, smart appliances, remote data communications to utilities and to customers over smart phones and PCs please see this news article. Our specific business strategy to license the end users and contributory potential infringers is confidential and proprietary to USCL EnergyCite® and will only be shared under terms of non-disclosure with a NDA. Follow this link to a video library of our history and our technology demonstrations. 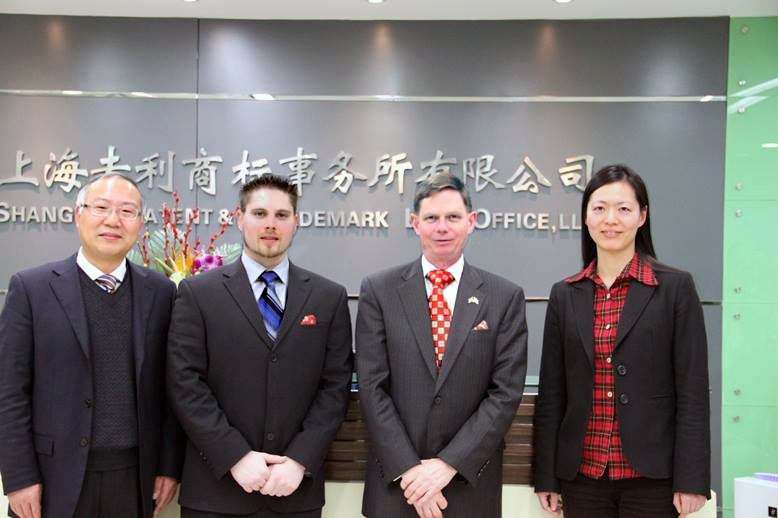 Follow this link to a description of USCL’s patents and their business implications. A system is disposed at a location of a utility commodity subscriber for informing the subscriber of and controlling utility commodity usage. The system includes utility meters, an information and control apparatus, and a first and second data communication link. The meters measure usage and generate usage signals. The information and control apparatus includes a microprocessor, a memory, a clock, and a user interface. The first data communication link is between the utility meters and the information and control apparatus, and the second data communication link is between the information and control apparatus and one or more central locations. The second communication link also provides rate information to the information and control apparatus and utility commodity usage data to the one or more central locations. The microprocessor computes an accumulated cost of utility commodity for a predetermined period of time. Information related to the accumulated cost is output to the subscriber.